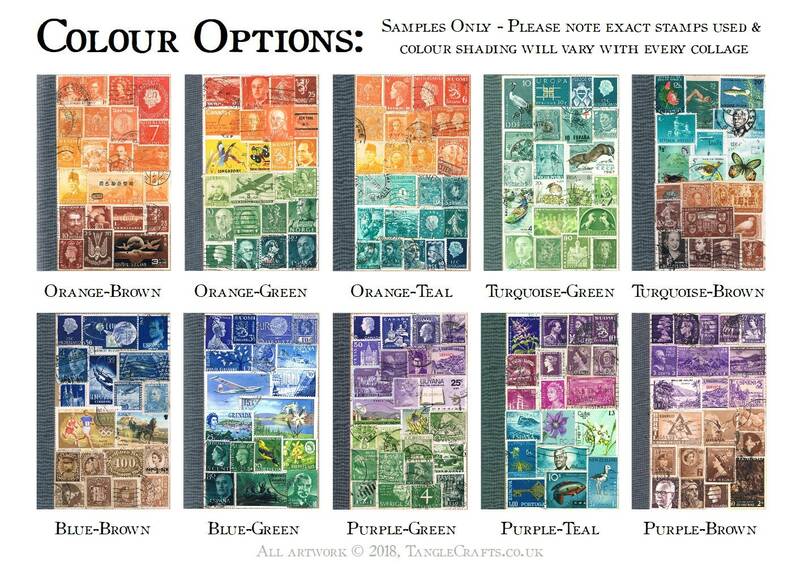 Custom Postage Stamp Art Cover - you choose the colours! 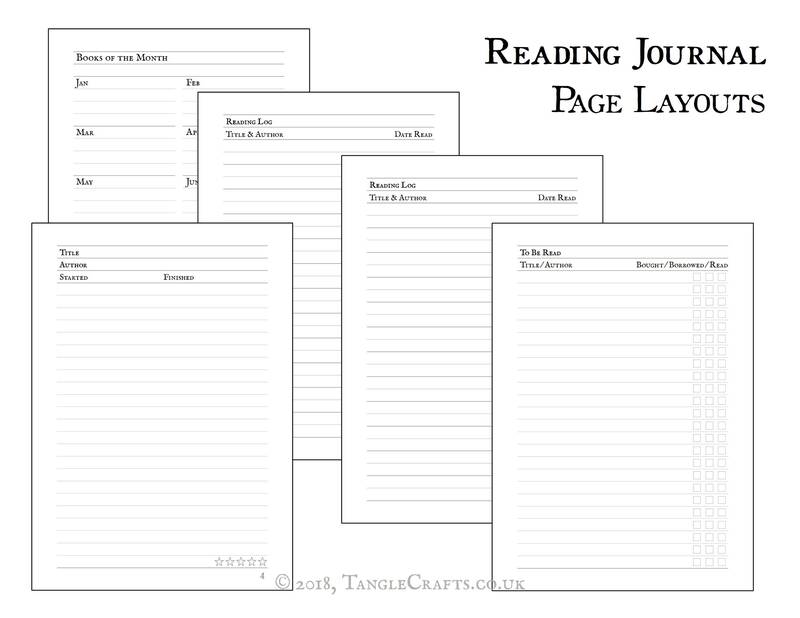 * 4 adjacent lending log pages, so you can keep track of where your books wander off to! 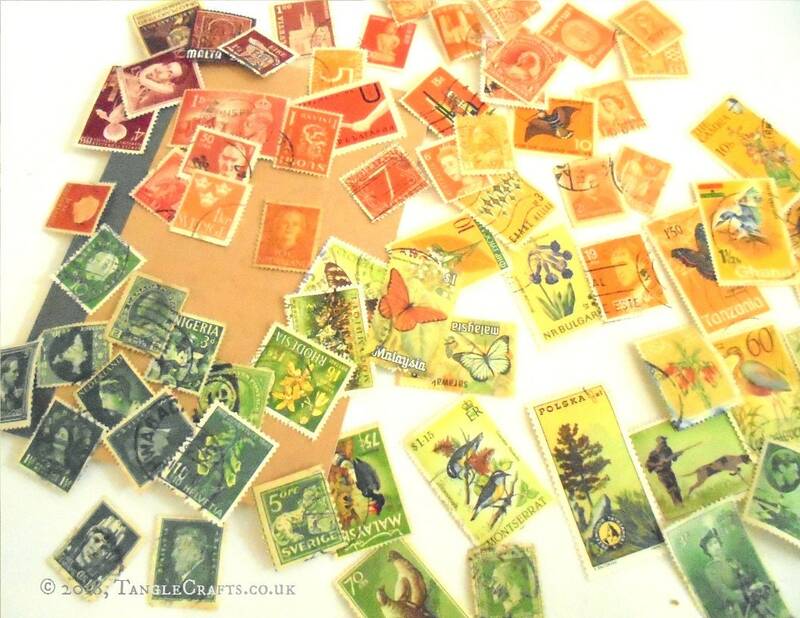 The postage stamps used in your cover collage will date from a wide range of periods, from early 20th century up to the 1970s (or thereabouts) and bear fragments of postmarks and other cancellation marks as a testament to their former active service for worldwide postal services, providing a real sense of history. 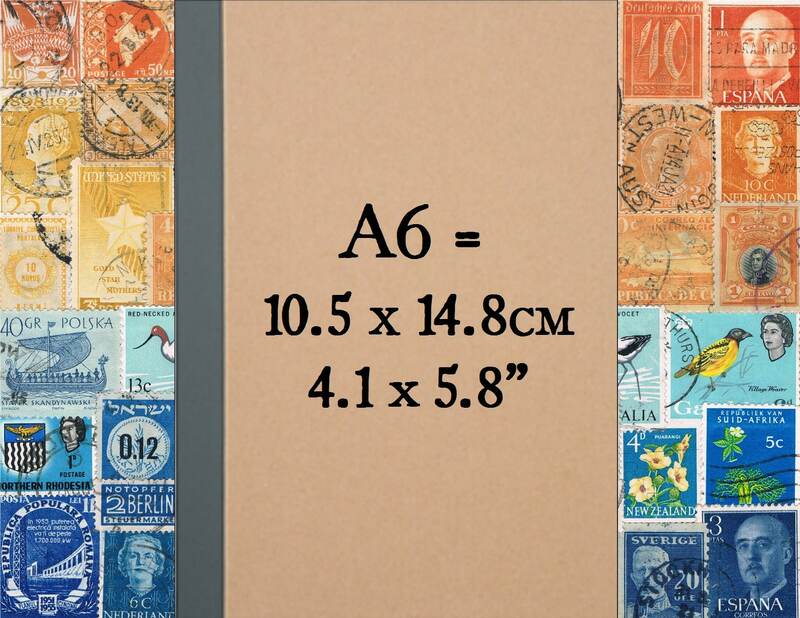 Stamps will be included from as wide a variety of countries as possible, depending on availability in your chosen colour scheme. 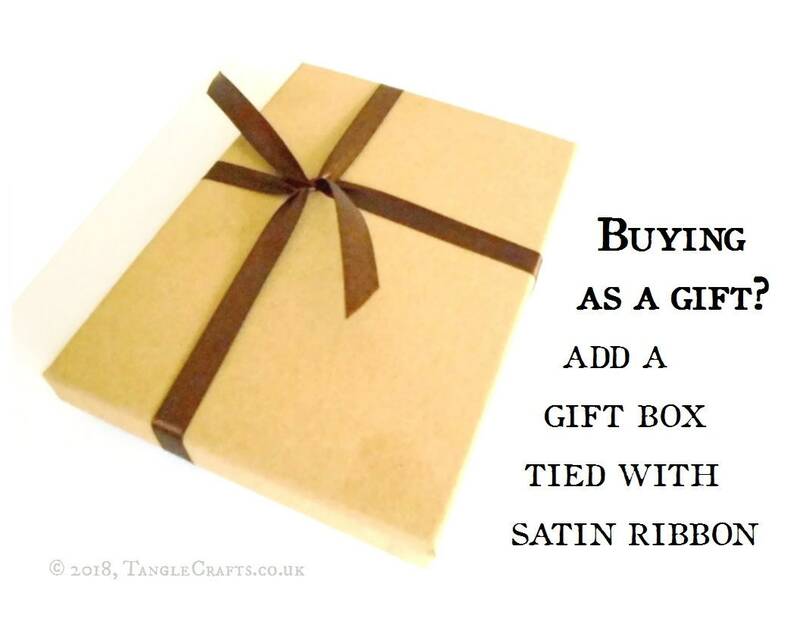 Choose your favourite colour combination from the drop-down options, or select 'Custom Combination' to specify your own pairing of colours in a note at checkout. 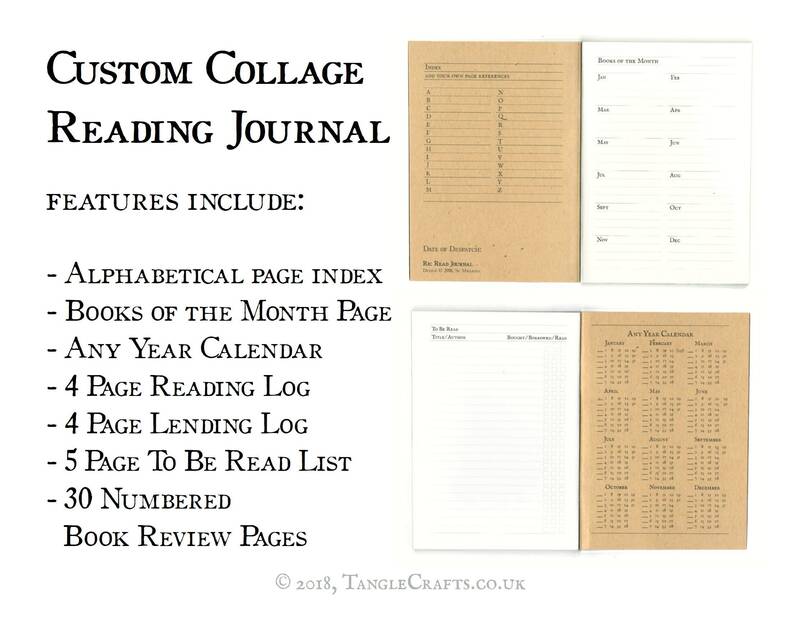 In the listed options, your journal will be collaged with the first colour uppermost, seguing down into the second colour (sometimes a 'bridge' colour may be used to blend from one colour to another). 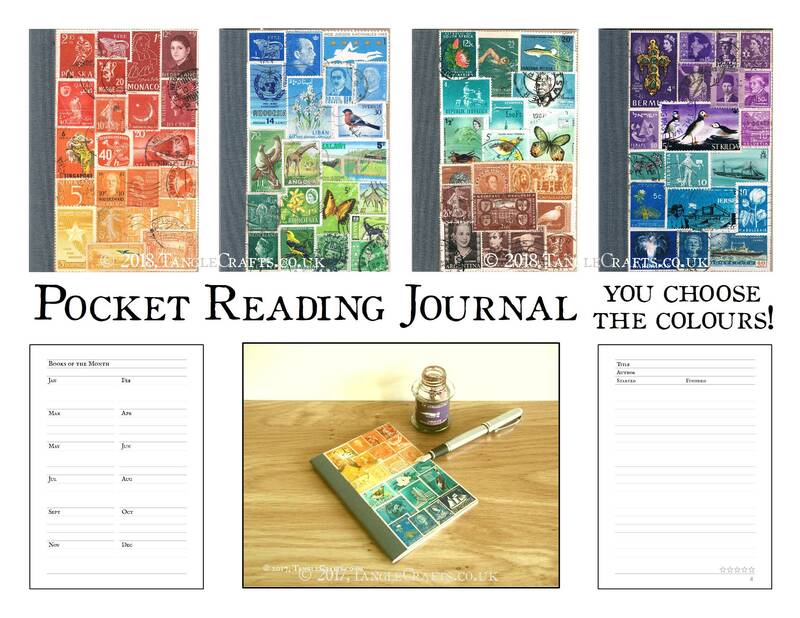 If you prefer the combination inverted (2nd colour at top instead of bottom), please specify in a note at checkout. 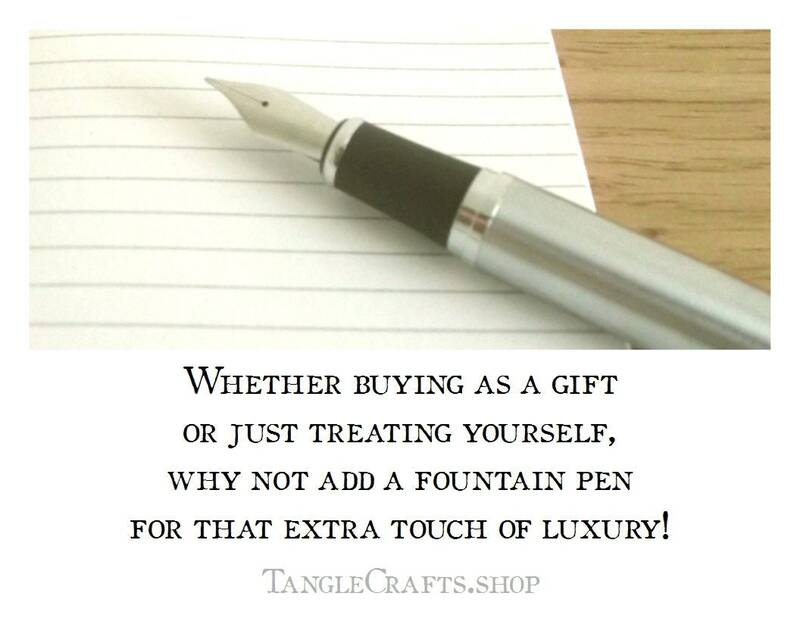 PLEASE NOTE As this notebook will be custom-made to your own specification following receipt of order, despatch time may take up to 5-7 working days (this will vary depending on my current order volume but I will always despatch as soon as possible). 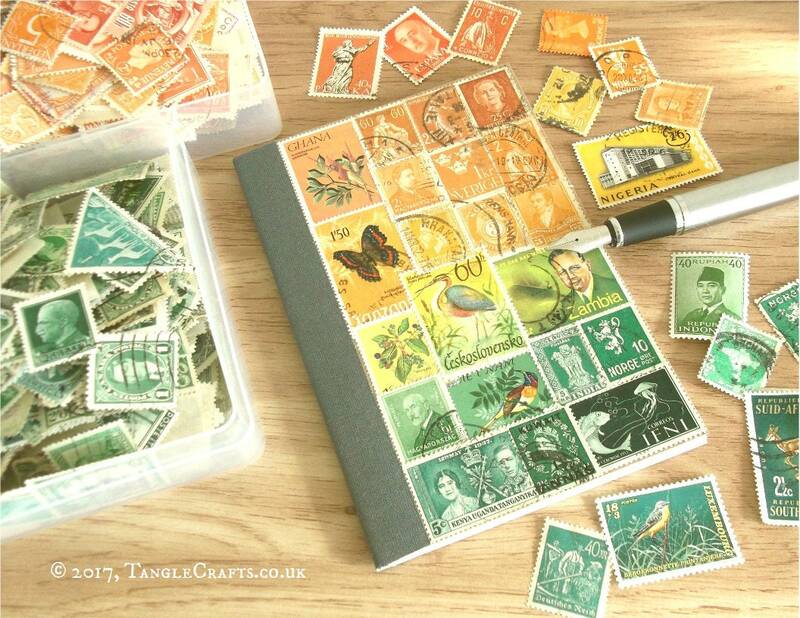 Please see separate listings for pre-collaged notebooks if you have an urgent deadline for your order. Super cute! Can't wait to start filling it up with books. 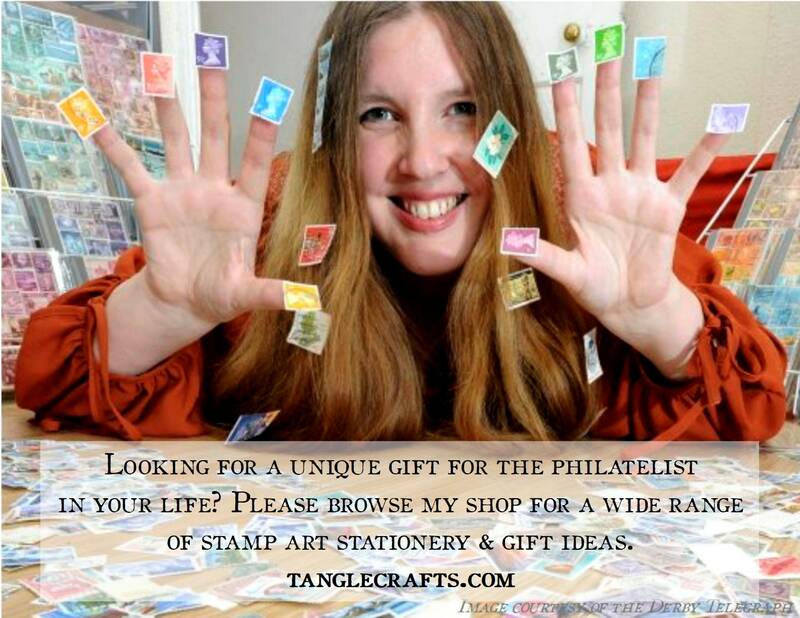 I'll be back TangleCrafts!